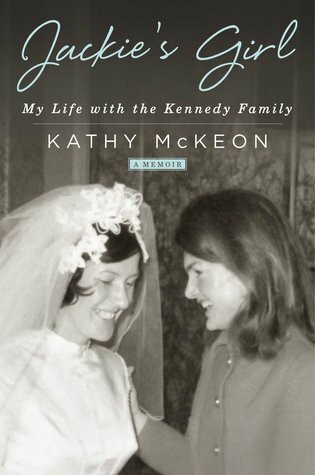 In 1964, Kathy McKeon was just nineteen years old and newly arrived from Ireland when she was hired as the personal assistant to former first lady Jackie Kennedy. The next thirteen years of her life were spent in Jackie's service, during which Kathy not only played a crucial role in raising young Caroline and John Jr., but also had a front-row seat to some of the twentieth century’s most significant events. Because Kathy was always at Jackie’s side, Rose Kennedy deemed her “Jackie’s girl.” And although Kathy called Jackie “Madam,” she considered her employer more like a big sister who, in many ways, mentored her on how to be a lady. Kathy was there during Jackie and Aristotle Onassis’s courtship and marriage and Robert Kennedy’s assassination, dutifully supporting Jackie and the children during these tumultuous times in history. Jackie’s Girl by Kathy McKeon is a 2017 Gallery Books publication. This is a memoir, so up front you should know this book is about Kathy McKeon’s life first and foremost, and what an interesting life it has been. I usually approach books like this one with extreme caution. A famous person's name attached to a personal memoir could be nothing more than a way to quickly cash in, and those sorts of books are often shallow and poorly written. However, I had a good feeling about this one, and of course, like many other people out there I loved and admired Jackie Kennedy, and was pulled in by the opportunity to witness a side of her few were privy to. Kathy immigrated to the United States from Ireland and while still a very young woman, landed a job working for the former first lady of the United States. I really enjoyed this insider look at Jackie's life behind closed doors, which only solidified her image of grace and dignity, but also shows her remarkable kindness and patience. 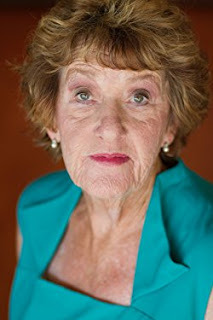 Kathy has a very funny, upbeat, and personable voice, often filled with wry wit and humor. Her personal life outside of work is detailed along with her working relationship with other members of Jackie’s staff, and Jackie’s children, with whom she kept a long running relationship. There are hilarious anecdotes, poignant moments of tragedy, all told with heartfelt honesty. Kathy regales us with stories from her childhood, her adjustment to a new country, a few rare moments of rebelliousness and minor rule breaking, and how she juggled a home life with her very demanding occupation. There is a tiny ‘upstairs/downstairs’ atmosphere present, but the lines are often blurred. I picked up on a real and honest admiration that Kathy had for Jackie and think Jackie felt the same way about Kathy. The pair had a bond that went beyond employer and employee that was truly special. It was no wonder that friends and relatives of Jackie referred to her as ‘Jackie’s Girl”. Kathy’s job was demanding and on occasion she complained or mentioned a few moments of personal sacrifice she had to endure because her duties to Jackie took precedence. Just reading over the vast history Kathy witnessed up close and personal is fascinating, to see first hand the reactions and emotions to these events as experienced by the Kennedy family is enlightening. Kathy lived through some amazing times, met some of the most powerful, wealthy, and influential people in the country, as well a few celebrities. She traveled, and experienced life from an incredible viewpoint. But, what sticks out most in my mind were the light hearted moments where Kathy brings Jackie to life again and paints her in a whole new light. I wish I could have seen Jackie laughing out loud, letting her hair down, and enjoying a few moments of genuine pleasure, and I think Kathy played a big role in that. By the same token, Jackie took Kathy under her wing, smoothing out her rougher edges, sharing and passing on her polish and grace to Kathy, who blossomed and matured into an incredibly loyal companion, confidante and close personal friend of the Kennedy family. This is a very unique and interesting memoir, told with class, tinged with both sadness and humor, but mostly it’s wrapped in warm heartfelt memories.